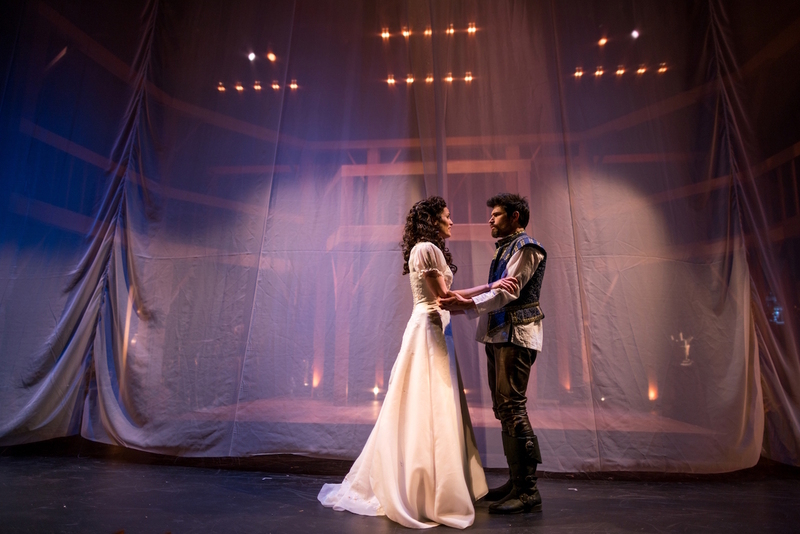 In SpeakEasy Stage’s ‘Shakespeare In Love,’ What’s It Like To Be The Great Playwright? 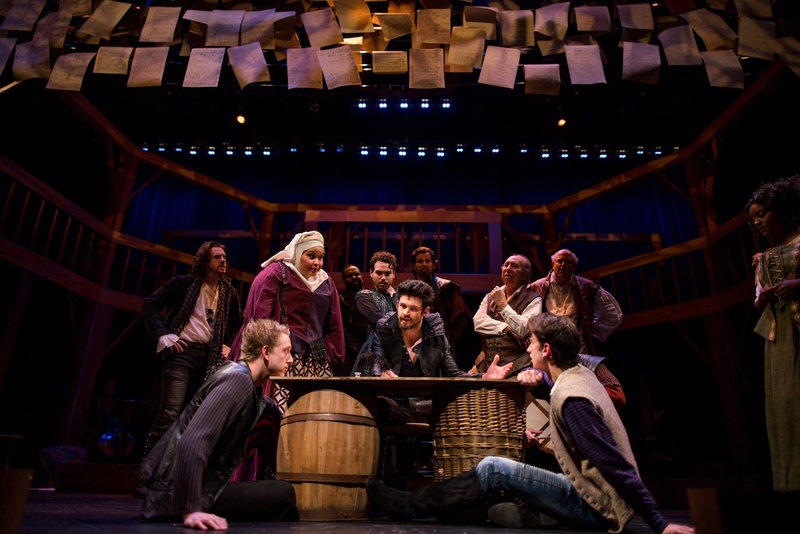 In SpeakEasy Stage Company’s “Shakespeare In Love”—being performed at the Boston Center for the Arts Calderwood Pavilion from Jan. 12 to Feb. 10—George Olesky is the actor cast to play the great Will Shakespeare. “At first it was overwhelming. ‘God, do I read four biographies of this guy?” Olesky recalls. SpeakEasy Stage’s production (directed by Scott Edmiston) is billed as the New England premiere of Lee Hall’s stage adaptation of the Academy Award-winning 1998 film written by Marc Norman and Tom Stoppard. This screwball, “romantic comedy of errors” draws on mistaken identities and other Shakespearean tropes to invent a tale of a young Will Shakespeare overcoming writer’s block by falling in love with Viola, a noblewoman who has disguised herself as a boy to appear in one of his shows. The original “Shakespeare in Love” movie—about Shakespeare’s romance with Viola, a woman seeking social equality in 16th century London—was produced by Harvey Weinstein’s Miramax. This production of the play now arrives in the #MeToo moment. Help us keep producing our great coverage of local arts by contributing to Wonderland on Patreon. And sign up for our free, weekly newsletter so that you don’t miss any of our reporting.